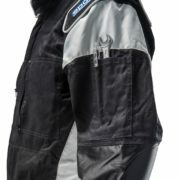 Professional, flame retardant mechanic’s clothing – homologated according to FIA 8867-2016. Any equipment in accordance with this standard, which was launched in 2016, is specially adapted to the safety requirements of the mechanics crew involved in a professional pit stop. 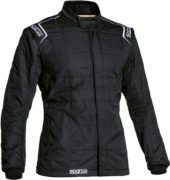 For optimal freedom of movement this is a 2-piece construction (jacket and pants). 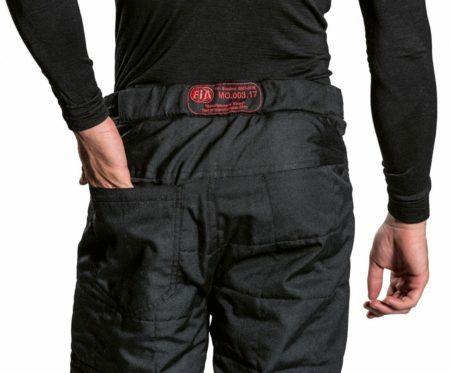 MS-D BOTTOM 2-layer, flame-retardant Sparco mechanic pants in a racing overall style with 2 back pockets and 2 side pockets. 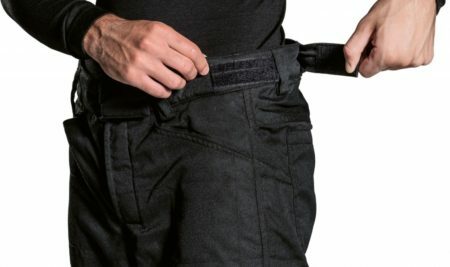 Adjustable waistband with Velcro tab. Extra soft and thin cuffs on the leg for optimal comfort. Straight leg cuffs in the Nascar style. 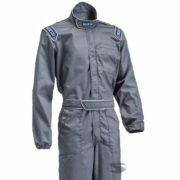 Homologated according to FIA 8867-2016 Standard for mechanic protective clothing.